There are fewer and fewer survivors of the Crimean Tatar deportations around to tell their stories, but Tamila Tasheva and her colleagues have been able to collect some. Tasheva is a co-founder of CrimeaSOS, an activist group that provides legal, psychological and humanitarian assistance to Crimean Tatars and others who have fled the peninsula, where the Muslim Tatars make up about 13 percent of the population, since it was annexed by Russia in March 2014. To commemorate Ukraine’s first-ever official day of remembrance of the Crimean Tatar deportations in 1944, CrimeaSOS organised an exhibition of portraits and the stories of 10 survivors. In 1944, Stalin ordered the mass deportation of Crimean Tatars, alleging that they had collaborated with the Nazis despite the fact that tens of thousands had served in the Red Army. Around 180,000 were deported in sealed trains to Central Asia and Siberia. Thousands died during the journey, and nearly half perished from starvation and disease within the first few years of exile. The survivors and their descendants weren’t allowed to return to Crimea until the 1980s. “I remember the stories my great-grandmother would tell me,” Tasheva told reporters at the opening of the exhibition at Ukrainian House in central Kiev. Among the stories from 1944 that Tasheva and others have collected is Saiid’s. He was about to turn 10 when soldiers knocked on the door of his family’s home in Yevpatoria in the middle of the night. “We were told that we were being evicted and we had 15 minutes to get ready to leave,” he recounted. For some, the journey would be deadly. Munire, a 93-year-old woman from Bakhchysarai, said that while no one died in her carriage, that wasn’t the case in others. But, for many, the worst was still to come. Nijar, from a small village in central Crimea, described the conditions inside the former prison barracks where many were housed when they first arrived in Uzbekistan. “There were unsanitary conditions everywhere,” she said. “We had seven or eight bodies every day. Rustam Gafuri, the deputy grand mufti of Ukraine and a Crimean Tatar, says that these are the types of stories that need to be told if people are to understand the Crimean Tatars’ past – and their future. 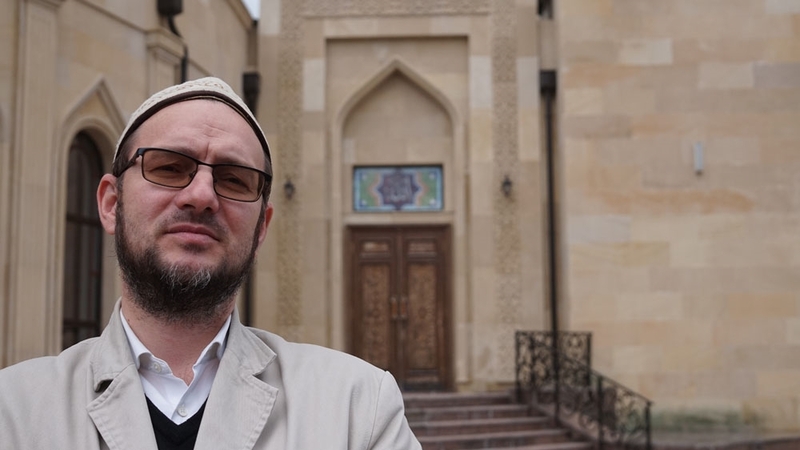 At Ar-Rahma Mosque, the Ukrainian capital’s only mosque, Gafuri describes what he believes to be his mission as a Crimean Tatar community and religious leader. For Gafuri, the destruction of Crimean Tatar books, manuscripts and mosques by the Soviets after 1944 underlines the need to remember and share stories about life before the deportations. Young Crimean Tatars like Sabina take lessons like these to heart. Sabina has lived in Kiev for nine months, but her family is still in Simferopol, Crimea’s capital. She returns to visit them – in fact, she was there during Ukraine’s early May holidays – but says that she and her family haven’t felt comfortable since the Russian annexation of the peninsula in March 2014. Crimean Tatars almost uniformly opposed the annexation. Since then they say they have faced repressive measures, from media outlets being shuttered to activists being arrested and “disappeared”. They weren’t allowed to publicly commemorate the day of remembrance of the deportation. Last month Russia banned the Mejlis, the Crimean Tatar assembly, accusing it of extremism. As a result, anyone involved in one of the more than 250 local Mejlises across Crimea now risks arrest. It’s because of things like this that Sabina says she doesn’t feel comfortable in public in her home town any more. The constant “pro-Russian” talk of people around Simferopol, she says, means she generally just visits relatives’ houses when she is there instead of going out in public. “Here in Kiev I am safe,” she says. Down on Maidan Nezalezhnosti before the evening memorial service, Lesia feels safe too. As she sways to Crimean Tatar music with a dripping umbrella in one hand and a Crimean Tatar flag in the other, the young student from Belogorsk is pretty upbeat for a dreary day. “It seems to me that since the annexation in 2014, people in Kiev know more about Crimean Tatars,” she says. As the soulful tones of Crimean Tatar music echo around the Maidan and up the web of side streets, it seems that no one gathered here is about to forget 1944 – or 2014.